Golf Courses In England: A beautiful game often overlooked in the wake of more thrill providing and media hogging sports, golf is a game that provides you with the perfect balance of relaxation, entertainment and hands eye co-ordination. 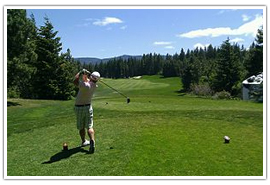 Just like most other outdoor sports, a good game of Golf to is heavily dependent on the quality of the turf on which it is played. Though people would often prefer Scotland when it comes to quality of a golf course it is very heartening to see that England itself does not lag too behind its neighbors when it comes to providing some quality when it comes to golf courses. Royal Liverpool is the oldest seaside course in England. The original layout was made by George Morris and Robert Chambers. It was awarded Royal status in 1871 and the same year it was extended into an 18 hole course. 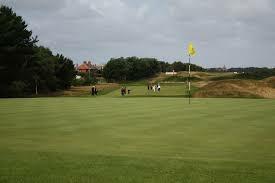 Royal Liverpool Golf club is one of the finest Golf Courses in England. It hosted the first ever International Match between England and the USA which was re-christened The Walker Cup. 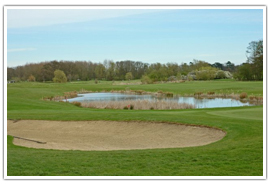 However, it is more to the amateur player that Liverpool Golf Club holds its appeal. It is said to be one of the best places for amateur players and is also home to one of the best amateur players of all time, John Ball. So all those looking to try out one of the finest and toughest courses in England need not look farther away than 10 miles South West of Liverpool. Rated as one of the most difficult golf courses in the world, Royal St Georges has hosted some twelve open championships. Constructed by Dr. Laidlaw Purves and Henry Lamb the golf course was built to compete with the levels of quality that golf courses in Scotland are famous for. Built on a mountainous collection of dunes, the golf course boasts to be home to some of the biggest names in the business including Greg Norman, Bobby Locke, Sandy Lyle and the list goes on. With new golf resorts coming up across England, golf is taking to the masses in a big way and one cannot deny the obvious appeal a game as sophisticated as golf holds. UK nationality, Life in the UK Test – Information on getting UK Nationality. Life in the UK test Free study material to download.